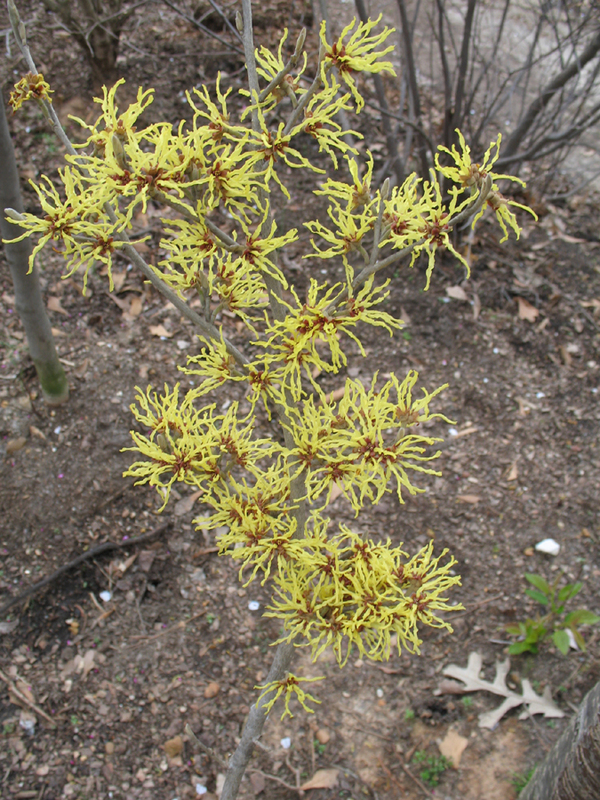 Comments: This witch hazel blooms when there are few other shrubs or trees in flower. It is especially well adapted to the woodland garden where there is partial shade and a slightly acid soil that contains a generous amount of humus. Several insects reported to sometime be a problem. But overall witch hazels are relatively easy to grow. Witch hazels normally have beautiful autumn color.